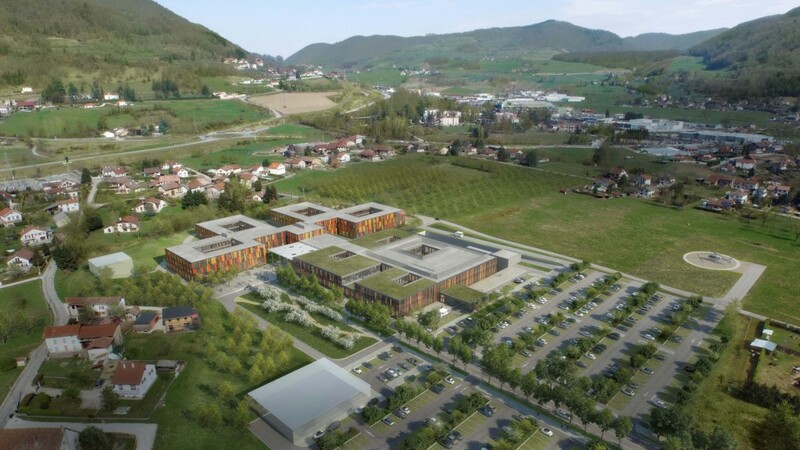 This new hospital provides basic medical services to the inhabitants of Voiron, a small town near Grenoble. The rustic surroundings are reflected in a loose ensemble of structures that are low-key in design and whose “additive” structure allows future expansion. 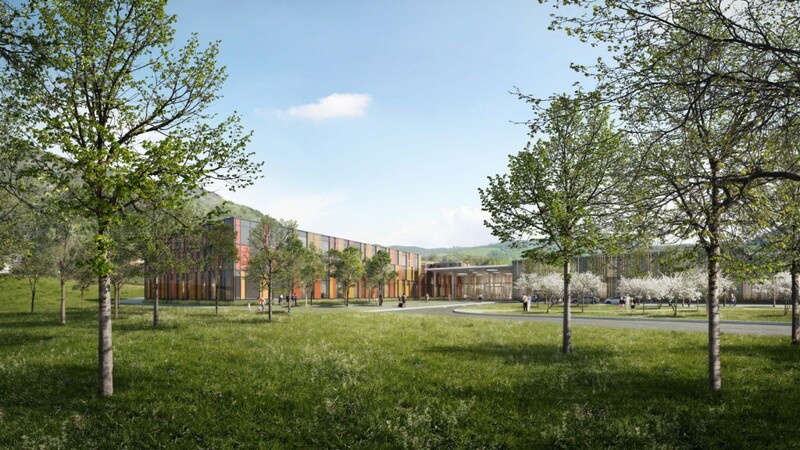 The location of the property made it possible to build the new hospital, like a miniature city, “in the open countryside”. 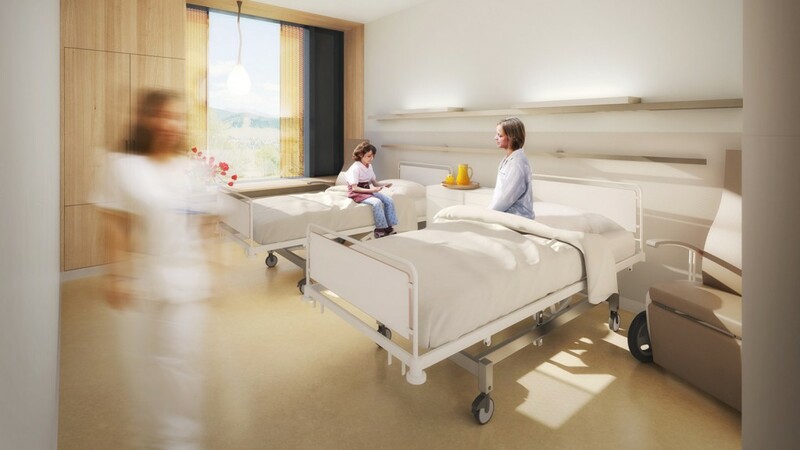 The medical treatment section is connected to two ward blocks via a transparent intermediate building. The healthcare center, which stands somewhat apart, is connected to the main structure by an underground link. The connecting link between the individual structures is a two-story hall, which is also the main access route to the hospital. A “thoroughfare” that begins from there provides access to the ward blocks, examination and treatment areas, and the adjoining medical practices.